Academic performance is determined by several factors. The aim of the first paper in this book is to describe the relationship between the goals of adolescents, their everyday life and the influence these factors have on academic achievement. Chapter two focuses on a longitudinal investigation of students’ well-being experiences within the framework of motivational beliefs. Chapter three aims to analyze differences in academic self-attributions and learning strategies between aggressive and nonaggressive Spanish adolescents, and to identify the predictive role of self-attributions and learning strategies in academic promotion of aggressive Spanish adolescents. Chapter four analyzes a simulation software and sensitivity analysis for future student academic performance. Chapter five establishes how personal self-regulation and different contexts of stress produce differences in the coping strategies used by students, whether university students or graduates who are preparing for competitive exams. 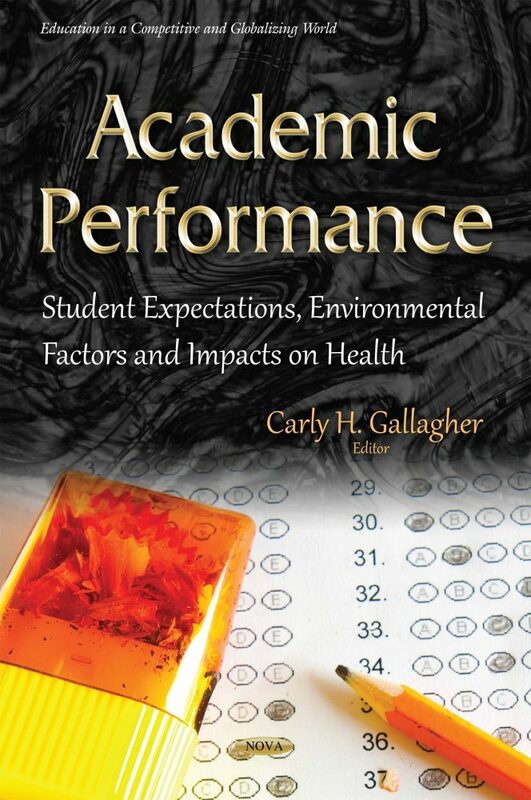 Chapter six provides a model with the main variables that can predict, with a certain degree of accuracy, school achievement and success, in order to put forward interventions and counseling to prevent students from dropping-out of health professions degree courses. Chapter seven critically reviews the different assessments and processes used within medical training and considers the affective implications for students, educators and eventually patients. Chapter eight addresses the teaching of physiology in different continents, and particularly, that of laboratories, and discusses a historical review of medicine in Mexico as well as the birth of Physiology in our country. Chapter nine analyzes student performance on the Grade 8 Texas Assessment of Knowledge and Skills (TAKS) Mathematics exam for students in two Texas school districts to determine the extent to which differences were present as a function of Saxon Math instruction. The final chapter examines school district size and it’s impact on black student performance.